Sarigama Cinemas is now bringing another youthful romantic comedy, Akhil Akkineni’s Mr. Majnu to overseas Telugu movie lovers. Gorgeous Nidhhi Agerwal is the female lead. Directed by Venky Atluri, music for this movie is scored by Thaman S, while the DOP is helmed by George C Williams. The production work for this romantic entertainer has been commenced, bankrolled by BVSN Prasad under the banner Sri Venkateswara Cine Chitra (SVCC). 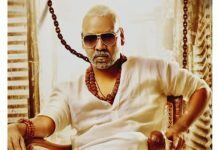 This movie will mark the 25th production from this successful banner that delivered class entertainers including Darling, Atharintiki Daredhi, Nannaku Prematho and Tholi Prema. Venky Atluri made his directorial debut with ‘Tholi Prema’ starring Varun Tej and Raashi Khanna, which was a highly successful movie at the box office. Once again, our sincere thanks to Shri. BVSN Prasad & B. Bapineedu, for extending their support and providing us this opportunity to be part of this prestigious project. Sarigama Cinemas vows to bring the highest calibre movies that provide ample entertainment to overseas audience. We greatly appreciate your trust, and also look forward to a continued support & collaboration with our film makers & exhibitors in near future. 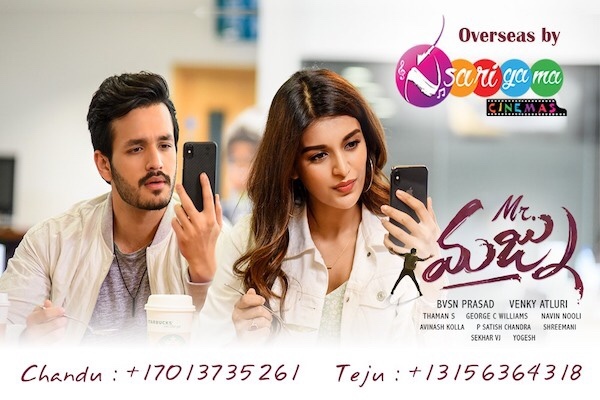 Mr.Majnu premiers will be screened in US on January 24th, 2019. Enjoy this cool breezy romantic entertainer at a theatre near you with friends and family.